Jesus Christ was the master teacher of all times. He taught in such a variety of ways. While he frequently spoke to the multitudes, he also spent considerable time in one-on-one situations. He gave kindly attention to the individual. John’s Gospel account reveals one such incident. 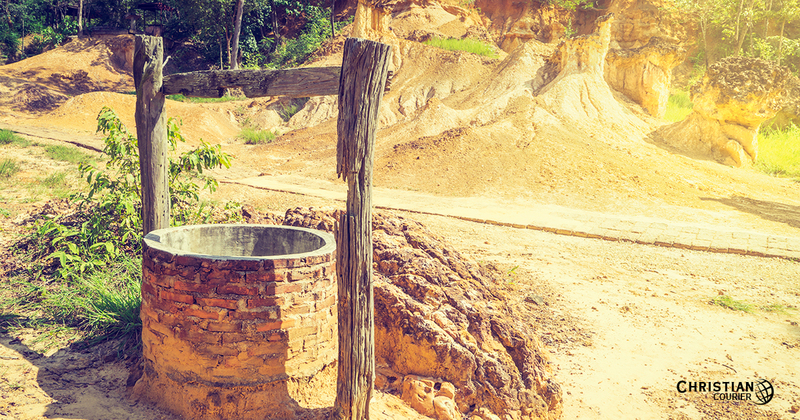 The record of Jesus’ conversation with the Samaritan woman at Jacob’s well, as contained in John 4, is a rich depository of biblical information worthy of the careful attention of any devout student. First, there is the explanation as to why the Lord happened to be passing through Samaritan territory (Jn. 4:1-4). Second, there is the actual exchange between Jesus and this strange woman (Jn. 4:5-26). Finally, there is the effect that ultimately was produced as a result of this incident (Jn. 4:27-42). Let us consider each of the segments in some detail. The Lord’s travels were not haphazard. They were meticulously orchestrated so as to enhance the greatest advantage for the success of his coming kingdom. Frequently, timing was crucial, for everything must proceed on schedule toward that most important hour on the divine clock (cf. Jn. 7:30; 8:20; 13:1, etc.). Timing was a factor in the case of the present context. His ministry had been enormously successful, as reflected in the number of conversions being effected by his disciples—eclipsing even the work of John the Baptizer. Because of this success, the Pharisees were beginning to focus a more hostile interest in him. So he decided to redirect his labor from Judea in the south, to Galilee in the north. In so doing, the apostle notes, “he must needs pass through Samaria.” Several observations are in order. Note that John 4:1 begins with the words, “When therefore the Lord knew ...” Here we learn something about the incarnate Lord. Though he was deity in nature, he did not continuously exercise the quality of omniscience. He could, consistent with his Father’s will, exercise supernatural knowledge (cf. Mt. 12:25). At other times, he accessed knowledge the ordinary way (cf. Jn. 11:34). The success of Jesus aroused the enmity of the Jewish leaders. This jealousy would eventually reach such an apex that they would deliver their own Messiah to the Roman authorities for crucifixion. Even Pilate recognized that on account of envy the Jews had delivered up Jesus (Mt. 27:18). Men with shriveled souls have but two ways of exalting themselves—they either boast of their accomplishments or tear down those they perceive as rivals. Usually, they do both. While it may seem natural to take the expression “must needs” as a geographical reference, since Samaria lies between Judea and Galilee, passing through Samaria was not the only route between the two provinces—in fact, it was not the most common one. Because of Jewish hostilities toward the Samaritan people (which we will discuss later), the Hebrews frequently would travel to the east when they had leisure time (see Josephus, Antiquities of the Jews 20.6.1, regarding travel at feast times), cross over the Jordan, and thus skirt the Samaritan territory. Samaria was considered as not belonging to the Holy Land, a strip of “foreign country” separating Judea from Galilee (Edersheim 1957, 12). Such a detour would take longer than the normal three days of travel. The Lord, however, did not hesitate to traverse Samaritan territory (Luke 9:51-56; 17:11-19; John 4:1ff). Some scholars, therefore, view this “must needs” language as referring to a “compulsion other than mere convenience. As the Savior of all men, Jesus had to confront the smoldering suspicion and enmity between Jew and Samaritan by ministering to his enemies” (Tenney 1981, 54). Christ’s mission to earth was regulated on more than one occasion by a heavenly “must” (cf. Lk. 2:49; 4:43; 19:5; 24:7; Jn. 9:4; 10:16; 20:9). As Jesus and his disciples traveled northward through Samaria, they came to a city called Sychar. The precise location of Sychar is a point of controversy. It was near Mt. Gerizim, a peak some 2,850 feet high, about forty miles north of Jerusalem. Some identify the city with modern Askar, slightly more than half a mile north of Jacob’s well. Others locate the city at the ruins of ancient Shechem (now Tell Balatah), which is located at the eastern edge of the pass between Mt. Ebal and Mt. Gerizim. John says it was “near to the parcel of ground that Jacob gave to his son Joseph” (4:5; cf. Gen. 48:22). The apostle declares that “Jacob’s well was there” (Jn. 4:6). The site of Jacob’s well has been called “the most authentic of all the Holy Places in Palestine” (A. Parrot, cited in Freedman 1992, 608). The well is about three hundred yards south-southeast of Tell Balatah. When it was cleaned out in 1935, it was shown to be about 135 feet deep (cf. Jn. 4:11), with the water being some seventy-five to eighty feet from the surface in the summer (Wright 1965, 216). It is seven and one-half feet in diameter. John calls it both a “spring” (pege [Jn. 4:6, ASVfn]) and a “well” (phrear — a cistern [Jn. 4:11-12]), suggesting that its water was supplied by both an underground spring and rain. “Abundant water comes from springs emerging all along the north and east flanks of Mount Gerizim” (Stern 1993, 1346). The biblical text is strikingly accurate. When the Lord arrived at Jacob’s well, he sat down, “being wearied with his journey” (Jn. 4:6). The Greek word for “weary” is kopiao (from kopos, in secular Greek, a beating or weariness caused by it). As we might express it, the Savior was “beat,” i.e., exhausted. John notes that it was “about the sixth hour.” If the apostle, writing from Ephesus in the late first century, was employing Roman civil time in his Gospel account, this would be about six in the evening (cf. Westcott 1981, 282; Edersheim 1947, 408). He possibly had walked all day. We must not rush by the phrase too quickly. It emphasizes the humanity of our Lord. I should underline the term “wearied,” and in my Bible margin write, “for me.” It was only because of his great love for sinful man that the eternal Word (Jn. 1:1) became incarnate (Jn. 1:14) and endured the rigors of humankind. He was hungry (Mt. 4:2), thirsty (Jn. 19:28), tired (Jn. 4:6), tearful (Jn. 11:35), and even fearful (Heb. 5:7). Think about it. He who effortlessly created the entire universe, now is weary — for you and me! The most common view as to the origin of the Samaritans is that they were a mixed race who developed as a result of intermarriages between earlier Hebrews of the northern kingdom of Israel and the Assyrian settlers in Israel following the captivity of the northern kingdom in 722-21 B.C. Other pagans eventually infiltrated the land and mingled with them (cf. Ezra 4:2, 9, 10). The term is found in the Old Testament only in 2 Kings 17:29, being applied to the remnant in the land. This group had their own brand of religion—a mixture of “Jehovah” worship and heathenism. Josiah, the good king of Judah, had sought to remedy this wickedness in his day (cf. 2 Chron. 34:6-7). There was much animosity between Jews and Samaritans. When the Jews were rebuilding Jerusalem (following the Babylonian captivity [606-536 B.C. ]), the Samaritans offered their services. They were summarily rebuffed (Ezra 4:1-3) and the Samaritans responded in kind (Ezra 4:4ff). Josephus characterizes the Samaritans as idolaters and hypocrites (Antiquities of the Jews 9.14.3). Edersheim quotes a Jewish saying: “May I never set eyes on a Samaritan” (1947, 401). Several centuries before the birth of Christ, the Samaritans had built their own temple on Mt. Gerizim to rival the one in Jerusalem. Here, they offered sacrifices according to the Mosaic code. Anderson notes that during the reign of Antiochus IV (175-164 B.C.) “the Samaritan temple was renamed either Zeus Hellenios (willingly by the Samaritans according to Josephus) or, more likely, Zeus Xenios (unwillingly in accord with 2 Macc. 6:2)” (Bromiley 1988, 304). This temple was destroyed by John Hyracanus in about 128 B.C., having been in existence about two hundred years. Only a few stone remnants of it exist today. During the first century, the religion of the Samaritans was similar to that of the Jews, except that they were more liberal—more kindred spirits of the Sadducees, for example, than the Pharisees. They accepted the Pentateuch, observed certain Jewish feasts and longed for the coming Messiah (Jn. 4:25). Religiously, though, they were considered as foreigners. When Jesus instituted the limited commission (Mt. 10:1ff), the Samaritans were excluded. That by no means indicates, however, that the Savior was unconcerned with these precious souls—as this very account proves. The Jewish attitude toward women was less than ideal. While the Old Testament afforded great dignity to womanhood (cf. Prov. 31:10ff), the Hebrews over the years had imbibed some of the attitudes of paganism. Many a Jewish man started the day with a prayer to God, expressing thanks that he was neither a Gentile, a slave, or a woman! A Hebrew man did not talk with women in the street—not even with his mother, sister, daughter or wife! (cf. Lightfoot 1979, 286-287). According to the most liberal view of Deuteronomy 24:1, a Hebrew husband could divorce his wife if she was found “familiarly talking with men” (Edersheim 1957, 157). The Son of God, therefore, in one fell swoop, broke through two barriers—the one steeped in racial bigotry, the other a hurtful sexist disposition that distanced the man from one of the sweetest treasures of God’s creations. One of the statements in this narrative which seems almost incidental is John’s comment that the Lord’s disciples, who were traveling with him, had “gone into the city to buy food” (Jn. 4:8). Upon closer examination, it is very significant. Let no Israelite eat one mouthful of any thing that is a Samaritan’s; for if he eat but a little mouthful, he is as if he ate swine’s flesh (Lightfoot, 275). And yet, the disciples are buying food in Sychar. Perhaps they were already beginning to be influenced by Jesus’ kindly disposition toward all who are fashioned in the image of God. One cannot but be reminded of a later circumstance when, observing the boldness of Peter and John, certain Jewish leaders “took knowledge of them, that they had been with Jesus” (Acts 4:13). When Christ asked of this unnamed woman a drink of water, he challenged the best from her. It is commonly the case that when we offer to assist someone who harbors a grudge against us, they will ruffle up and resist. Yet, if they are petitioned for help, they surprisingly respond. Jesus appealed to this lady’s kinder instincts, thus eroding the cultural wall between them. “How is it that you, a Jew [which she could discern by his clothing and manner of speech], asks a drink of me, a Samaritan woman?” (Jn. 4:9). The Lord seizes the opportunity, lifts the conversation to a higher plateau, and arrests her attention further by introducing several matters that were bound to stimulate her interest. If you knew the gift of God, and who it is that says to you, Give me to drink; you would have asked of him, and he would have given you living water (Jn. 4:10). Jesus spoke of a gift. The Greek term is dorea, used only here in the Gospel accounts, which actually signifies a “free gift” (Vine 1991, 341). A free gift stimulates anyone’s interest! Employing symbolism appropriate to the occasion, he mentions a living water, i.e., a water that bestows life. This could mean something quite significant to a person whose day-to-day existence was characterized by deadness. He associates these blessings with a who, i.e., he suggested that she was talking at this very moment to someone special — a depository of life. There was a great deal of subtle information packed into a seemingly ordinary statement. It was, in fact, the gospel in miniature. The offer of salvation to a rebellious world is the expression of God’s grace. It is a free gift which cannot be merited or earned (Eph. 2:8-9; Rom. 6:23). It is available only through that person who was conversing with the Samaritan woman, the Messiah (Jn. 14:6; Acts 4:11-12). The result is the promise of life, i.e., union with God for those who are dead in sin (Rom. 6:23; Eph. 2:1). The Lord’s statement produces a startling effect. The woman immediately changed her tone and addresses the friendly stranger with a term of respect. She is still thinking of literal water of some sort, and her question implies a negative answer (as the Greek construction indicates). The Savior gently nudges her forward. He wants to emphasize that he is not speaking of the kind of water contained in Jacob’s well. And so he says, in effect, “One can keep on drinking [a present tense form, suggesting sustained action] of this water, and he will be thirsty again; but anyone who takes but a swallow [an aorist tense form—an act] of the water about which I’m speaking, won’t ever thirst again.” The Lord went on to point out that the spiritual water of which he spoke would become a bountiful fountain, issuing in eternal life, i.e., salvation. Still not grasping the elevated meaning of the Master’s message, but being tantalized, the woman courteously urged Jesus to “give me this water” (Jn. 4:15). The Samaritan lady obviously had both the need for salvation and at least a threshold interest in things divine. Christ determines, therefore, that it is now time to bring the discussion closer to home. In so doing he must accomplish two goals. First, he must penetrate her conscience with a sense of sin. Second, it is imperative that he establish his own authority as a spokesman from God. “Go, call your husband, and return,” instructed the Lord. If I may paraphrase, Christ replied: “You’ve told the truth, lady. But the fact is, you’ve had five husbands, and the man you now are with actually is not your husband. You revealed more truth than you intended” (cf. Jn. 4:18). And so, the Lord may have been saying to the woman: “You’ve been married to five husbands, and the man to whom you are now ‘married’ is not a ‘husband’ in the true sense.” Or he may have been suggesting this: “You’ve been married five times, and the man with whom you now are living cannot be called a ‘husband.’” Leon Morris, in his scholarly commentary on John’s Gospel, has discussed this matter in some detail (1971, 264-265). The point is she was in a sinful relationship and she needed salvation that only he could offer. It was a startling revelation to the woman. This stranger had exposed details of her life he could not possibly have known naturally. Later she will tell her villagers, “Come see a man who told me all things I ever did!” (Jn. 4:29). That, of course, is hyperbole. But the information revealed by Jesus was so dramatic that it seemed like he had drawn the curtain back on every foul deed she had ever done! The woman was intelligent. She was a logician! Christ had evidenced supernatural knowledge. Thus, the woman (returning to her respectful form of address) said, “Sir, I perceive [Greek theoreo — to give careful observation to detail] that you are a prophet” (Jn. 4:19). Here is an important point. Since the Samaritans believed there was no prophet after Moses, except the one of whom the great Hebrew leader had spoken — “a prophet like unto me” (Deut. 18:15ff) whom they identified with the Messiah — this lady was toying gradually with the notion that this man could possibly be the Messiah. Still, she was uncomfortable. And so she shifted the direction of the conversation from her personal problems to that of worship — a topic, however, which undoubtedly was of genuine interest to her. She was referring to the Samaritan temple that had existed on Gerizim, but had been destroyed a century and a half earlier (hence her use of the past tense is precise). There was a long-standing controversy between the Samaritans and the Jews as to where worship was to be rendered. The Samaritans contended for Gerizim, the Hebrews for Jerusalem. The Jews were right, of course (cf. 2 Chron. 6:6; 7:12; Psa. 78:68), but that was rather immaterial at this point. Jesus observed that the time was coming when worship would not be a matter of some external place (cf. Acts 17:24). Rather, it would be spiritual in nature. This is a clear indication that the end of the Mosaic system itself was nearing. In drawing the contrast between Samaritan worship and Hebrew worship, Christ emphasized that true worship is more than emotion. It is grounded in knowledge. “You [Samaritans] worship that which you do not know” (Jn. 4:22). Morris notes that the “that which” (a neuter form) probably denotes an ignorance of the whole system of correct worship (270). Since the knowledge of proper worship comes through sacred revelation (the Scriptures), and since the Samaritans rejected all Old Testament Scripture save the Pentateuch, it is not surprising that they “knew not” about proper worship. Away goes the contention that the form of worship is immaterial, so long as one has a sincere heart. Then, almost as a side thought, the Lord comments, “For salvation [literally, ‘the salvation’] is come from the Jews.” God had been working a plan for saving mankind through the Hebrew nation. Christ then declared that the hour was coming—indeed now is, i.e., the time is very imminent (cf. Jn. 5:25) — when there would be true worshippers. These are worshippers who belong to God as his redeemed children and who worship consistent with divine revelation. The Lord describes this class of people as those who worship “the Father in spirit and in truth.” For “such,” i.e., worshippers of this quality, the Father “seeks” (constantly—present tense). It must be noted in this connection that God does not seek human worship for any selfish motive. He is not served by men’s hands “as though he needed anything” (Acts 17:25). Being infinite in all his attributes, Jehovah is not enhanced in any way by human servitude. Clearly, he desires our service because of what it will do for us. Accepting our worship is an act of his kindness! (see Why Humanity Should Serve God). The proper object of worship is deity and only deity (Mt. 4:10). While this context deals specifically with the Father, other texts reveal that both the Son and the Holy Spirit, as possessing the nature of God, are worthy of our worship. Deity, as a holy entity, is worthy of praise (Psa. 18:3). It is sinful to worship nature (Rom. 1:22ff) or objects crafted by human skill (Acts 17:29). Lust for money, power, etc., can even be a form of idolatry (cf. Col. 3:5). True worship must be in spirit. Genuine worship involves the plunging of one’s spirit into the act (cf. Rom. 1:9; 1 Cor. 14:15) in a humble and sincere way (cf. Josh. 24:14). This disposition eschews the superficial, the ostentatious (cf. Mt. 6:1ff), the self-centered (Lk. 18:9ff), and the hypocritical (Mt. 5:23-24; 15:7-9). Acceptable worship conforms to truth, i.e., to the “content of Christianity as the absolute truth” (Arndt and Gingrich 1967, 35). It is not truth as one feels it to be, i.e., subjectively determined, but truth as it actually is, measured by divine revelation (Jn. 17:17). Thiselton says that true worship is “that which accords with reality, which men grasp on the basis of revelation” (Brown 1971, 891; cf. Phil. 3:3). These comprehensive statements of Jesus to this Samaritan woman regarding the nature and scope of worship are wonderfully revealing. They contain a marvelous challenge for us to this very day. We have already mentioned the fact that this inquisitive lady has concluded that Jesus is a prophet and that this term, in the Samaritan mind, was associated with the coming Messiah. The woman now introduces that topic directly. I know that Messiah is coming (he that is called Christ): when he comes, he will declare all things to us (Jn. 4:25). The parenthetical comment almost certainly is added by John to identify, for Gentile readers, the meaning of the term, “Messiah.” The woman has not concluded, precisely at this point, that Jesus is that Messiah, but she has inched closer to that irresistible proposition. the Messiah who would be a teacher, not a military conqueror. In some respects she seems to have had a clearer vision of the Messiah than even the Savior’s disciples! How is it that those who believed only in the inspiration of the Pentateuch could know of the coming Messiah? Because, quite obviously, there is sufficient evidence therein to point in that direction. The first messianic glimpse was in Genesis 3:15, where it was indicated that the woman’s “seed” would ultimately crush Satan. Later, Abraham was told that through his offspring all nations of the earth would be blessed (Gen. 22:18). Jacob had foretold the coming of Shiloh (rest-giver) from the tribe of Judah (Gen. 49:10). In Exodus, the Messiah had been foreshadowed in the passover lamb (Jn. 1:29; 1 Cor. 5:7), and in Leviticus various offerings prepared the studious mind for the Messiah’s redeeming sacrifice (Lev. 1-5). In Numbers, the death of him who was to be “lifted up,” thus to provide healing, was prefigured (Num. 21), and Balaam spoke of the star that would arise out of Jacob, the scepter out of Israel, to destroy the enemies of Jehovah (Num. 24:17-19). And, as earlier noted, Moses told of “the prophet” like unto him, to whom all would owe obedience (Deut. 18:15-19). Here is an interesting question to ponder. If the Samaritans could discern the coming of the Messiah and subsequently identify Christ as the fulfillment of that abbreviated collection of prophecies—upon the basis of only five Old Testament documents—what does that say about the Jews, who mostly have been unable to accept Jesus as the Christ on the basis of more than three hundred prophecies in thirty-nine different books? (See 2 Cor. 3:14ff). The Greek text literally reads, “I am, the one speaking to you.” The words “I am” (ego eimi) are used in the Septuagint (Ex. 3:14) in connection with the revelation of God’s personal name, Yahweh (1992, 97). This same expression, ego eimi, frequently was employed by Jesus, as recorded in John’s Gospel, to stress his identification with the Father (cf. Jn. 6:20, 35, 41, 48, 51; 8:12, 18, 24, 28, 58; 9:9; 13:19; 18:5, 6, 8). It is a subtle affirmation of deity. As the disciples returned from their mission to obtain food in the city, they were amazed to discover Jesus “speaking” (the imperfect tense suggests an extended conversation) to this woman. Yet not a one of them was presumptuous enough to ask the Lord, “What do you want from her?” or, “Why are you talking with this woman?” The very presence of the Lord was awesome. Presently, the woman left her water pot and went into the city. Mention of the water pot is a curious detail (that lends authenticity to the narrative). Was she so elated that she forgot her initial mission to the well? Or did she intend to quickly return, and the jar could be reclaimed then? In the Greek, the particle meti implies an expected negative response. When one remembers that a woman’s testimony was not counted for much in that culture, this lady’s shrewdness is revealed by the way in which she handled this matter. She taunted them with a question which elicited a negative answer, leaving them perfectly at ease to draw their own conclusion and contradict her! Her careful choice of words produced the exact response for which she hoped. The people of Sychar departed from the city and made their way (so the force of the imperfect verb—“were coming”) to find him. In the meantime, the disciples attempted to persuade Jesus to eat of the food they had brought. The Lord knew, though, that their education at this time was more important than satisfying his physical hunger. So he raised the discussion to a higher level by means of an enigmatic saying. “I have food to eat of which you are not aware,” he said. Note that Christ affirms that his presence on earth is the result of Heaven’s sending activity. We may surmise from verse thirty-five that it is December or January on the occasion of this journey (since the harvest occurs in April-May). As the Lord and his disciples looked upon the greening fields nearby, revealing such promise of a healthy crop to be harvested later, the Master seized upon the occasion to further instruct his men. It is a reality that some souls are riper than others (cf. Acts 16:6-10). First, Jesus wants the disciples to know that other preparation has been in progress with reference to the Samaritans that will issue ultimately in these people coming into a knowledge of the truth. The writings of Moses (in the Pentateuch) doubtless had influenced them. The preparatory work of John the Baptist may have affected them to some extent, at least indirectly. Second, Christ is suggesting to the disciples that their labor, eventually, will involve evangelizing among these people. This is a prophetic truth that they could hardly appreciate at this moment, but they would grasp it later. From this we learn this important principle. It is almost never the case that one person is solely responsible for leading another to the Savior. Usually, there are various people who have contributed to the process along the way. Some plant, others water, but God gives the increase (cf. 1 Cor. 3:6). Surely this should help us to put the matter into proper focus when we are tempted to assume most of the credit for someone’s conversion to the Lord. John says that “many of the Samaritans believed on him.” This reveals that Jesus truly had prophesied correctly. This was an area white unto harvest. Further, it indicates that, in spite of their jaded religious background—very unlikely candidates for belief—these folks were prime subjects for the gospel. We humans are unable to judge the quality of the human heart based upon externals. The Samaritans believed initially on the basis of the woman’s testimony. Her confession regarding the exposure of her past probably was so explicit and beyond the realm of fabrication that she became a compelling advocate for the prophetic credibility of Christ. This is very telling when we remember that a woman’s word counted for almost nothing. Women “could not act as legal witnesses” (Bromiley, 1093). But this woman’s testimony was so powerful that it transcended that cultural barrier. Moreover, the fact that John records this element of the story gives the narrative an aura of veracity. Such a detail would never have been concocted by a fraudulent writer attempting to provide plausibility to the ministry of Jesus. John records that the Samaritans “besought” the Lord to abide with them. The word “besought” is an imperfect tense form; they “kept on asking him” to remain with them. The suggestion may be that Jesus resisted at first, perhaps feeling the urgency of his journey, but then, maybe, relented to their pleadings. If that is the case, it reveals how the Master can be touched with our sincere urging. They enjoyed two precious days with the Creator of the universe just because they asked. As James would later write: “[Y]ou have not, because you ask not” (Jas. 4:2b). The disposition of these Samaritans was in such glaring contrast to others of their kind who, on another occasion, “did not receive him” (Lk. 9:53). In addition to the initial many who believed, John says that as a result of Jesus’ sojourn with them, “many more believed.” This time, though, it was “because of his word.” They were grateful for the woman’s role in introducing them to Jesus, but, as a result of their personal investigation, they became all the more convinced. One may initially believe the facts of the gospel based upon his confidence in the veracity of a loved one or friend. The time must come, however, that he investigates the facts on his own and come to a deeper faith. They had not come to a conviction that Jesus was merely a wise philosopher or a benevolent socialist. Rather, the evidence to which they were exposed during those two important days grounded them in the truth that this was the Savior of the world. No, they were not universalists, believing that all would be saved—regardless of their obedience. Rather, they came to the understanding that all people were subject to the universal blessings of the gospel. They knew that Christ was more than just a Savior to the Jews. He was their Savior too! Note also that they did not restrict his saving mission to a small “elect” group, preordained before the world’s foundation; rather, he was potentially the Savior of the world (contra Calvinism). A study of this thrilling account would be incomplete if we did not notice the success of the gospel among the Samaritans following the establishment of the Christian system. After the death of Stephen, the Jerusalem church was scattered abroad. In this connection, Philip the evangelist went to Samaria and proclaimed Christ (Acts 8:5). The multitude “gave heed with one accord” to his message, which was, incidentally, buttressed with supernatural signs. In this connection one recalls the conversion of Simon the sorcerer (Acts 8:9ff). When the report of Philip’s success came to the attention of the apostles up in Jerusalem, they sent Peter and John to Samaria, and the new converts were supplied with spiritual gifts to supplement their ministry (Acts 8:14ff). Subsequently, the gospel was proclaimed in “many villages” of the Samaritans (Acts 8:25). Clearly, much of this success is traceable to the visit of Jesus to that region, as recorded in John 4:5ff. Arndt, William and F. W. Gingrich. 1967. Greek-English Lexicon of the New Testament. Chicago, IL: University of Chicago. Barclay, William. 1956. The Gospel of John. Philadelphia, PA: The Westminister Press. Bromiley, G. W., ed. 1988. The International Standard Bible Encyclopedia – Revised. Vol. 4. Grand Rapids, MI: Eerdmans. Brown, Colin, ed. 1971. Dictionary of New Testament Theology. Vol. 3. Grand Rapids. MI: Zondervan. Edersheim, Alfred. 1947. The Life and Times of Jesus the Messiah. Vol. 1. Grand Rapids, MI: Eerdmans. Edersheim, Alfred. 1957. Sketches of Jewish Social Life. Grand Rapids, MI: Eerdmans. Freedman, David Noel, ed. 1992. The Anchor Bible Dictionary. Vol. 3. New York, NY: Doubleday. Laney, J. Carl. 1992. John – Moody Gospel Commentary. Chicago, IL: Moody. Lightfoot, John. 1979. A Commentary on the New Testament from the Talmud and Hebraica. Vol. 3. Grand Rapids, MI: Baker. Morris, Leon. 1971. The Gospel According to John. Grand Rapids, MI: Eerdmans. Stern, Ephraim, ed. 1993. The New Encyclopedia of Archaeological Excavations in the Holy Land. Vol. 4. New York, NY: Simon & Schuster. Tenney, Merrill. 1981. The Expositor’s Bible Commentary. Vol. 9. Frank Gaebelein, ed. Grand Rapids, MI: Zondervan. Vine, W. E. 1991. Amplified Expository Dictionary of New Testament Words. Iowa Falls, IA: World. Westcott, B. F. 1981. St. John’s Gospel. The Bible Commentary. F. C. Cook, ed. Grand Rapids, MI: Baker. Wright, G. Ernest. 1965. Shechem: The Biography of a Biblical City. New York, NY: McGraw-Hill.